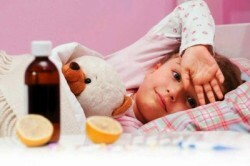 Winters are we different in recent years,instability - the thaw, the cold, the rain, the squally wind ... And if the person's immunity is lowered, it is no wonder in such circumstances to catch the flu or SARS. 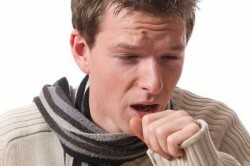 Many will agree with me that it is difficult sometimes to quickly get rid of coughing attacks, especially dry. Today our site tells readers about the drug in a bright package called "Sinekod". Drops - a colorless (or slightly yellow)solution, pleasant smelling vanilla. It is packaged in small vials made of dark glass and 10 to 20 ml. On the bottle has a dropper dispenser. Present in one milliliter of 5 mg of active substance in the form butamirata citrate and auxiliary ingredients: sorbitol solution, sodium saccharin, glycerol, vanillin, benzoic acid, sodium hydroxide, ethanol 96%, water. Syrup - a clear liquid, which is alsoIt smells like vanilla. The bottle made of dark glass, pour 200 g or 100 ml of the syrup. One milliliter contains only 1.5 mg of the active substance and the rest is represented by auxiliary components, such as sorbitol solution, glycerol, sodium saccharin, benzoic acid, water, vanilla, ethanol 96% sodium hydroxide. Jelly beans - they have red, round shape withflat sides. The package contains 10 pills. Each tablet contains 20 mg of additional ingredients and butamirata - talc, macrogol, lactose, colloidal titanium dioxide. If the package is written "dragee-forte", it means that one dragees butamirata not 20, and 50 mg.
Sinekod makes sense to prescribe for respiratory infections, which is a satellite of non-productive (without sputum), exhausting cough. 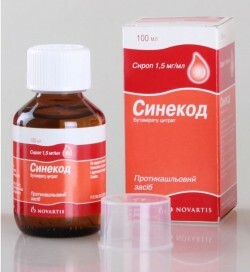 More Sinekod can be used to prevent the cough reflex at the time of diagnostic tests broncho-pulmonary system (for example, bronchoscopy) Or carrying out operations on the respiratory organs. It is best to carry out Sinekoda reception for 30 minutes before eating. The dosage is determined by a physician and depends on the patient's age. babies from two months to 12 - four times a day for 10 droplets (dig possible not only in water but also in breast milk). children, aged between 3 and 6 years - to give enough three times a day for 5 ml. Do not forget after each reception to thoroughly wash and dry the cap. Drops simply washed down with water, not breaking off and notrazzhёvyvaya. Children age 6 to 12 years, twice a day, give one pellet. Teenagers from 12 to 15 years of age are also dragees one but three times a day. Adults and adolescents over 15 years old can take two pills twice or thrice a day. Dragee forte intended for adults only one pills two or three times a day. Along with expectorants and mucolytics Sinekod not accepted. 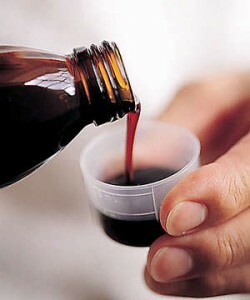 The syrup and drops have saccharin and sorbitol, are normally transferred to those who suffer diabetes. These patients can be treated by means of data from the cough. Some people Sinekod cause drowsiness, so it is advisable to refrain from driving a vehicle in the treatment with this drug. If overdose of this tool, it is necessary to gastric lavage, and then take any enterosorbent (Polisorb, Enterosgel, Activated carbon). if a person has an individual intolerance of at least one of the substances listed in the composition. If the cough hurts a woman who breast-feeds her baby, then it is necessary to appoint Sinekod carefully. In the days of the drug it is recommended to temporarily interrupt breastfeeding. Once again I draw your attention to the fact thatSyrup give those children whose age is more than three years. Drops may be given the baby, since two months. Drops may be offered to the child, from the age of six, when he was able to swallow. If the cough is dry, and is associated with irritationinflammation of the respiratory tract, in a fit does not stand out phlegm, then in this case it is advisable to take Sinekod. 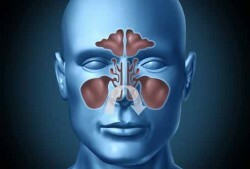 He will hold the lock operation of the cough center in the brain, resulting in relief of dry cough happen. If the airway is, phlegm, then canceled antitussives, expectorants and appointed agents to help bring out the bronchial tree exudates. Be sure to consult with your doctor what medicine you take. After all, only an expert will help you understand whether or not to suppress a cough, or is required to release the respiratory tract of phlegm.